This Point of Sale was produced in two different versions. The first for Gordon Low as the maker of the product. 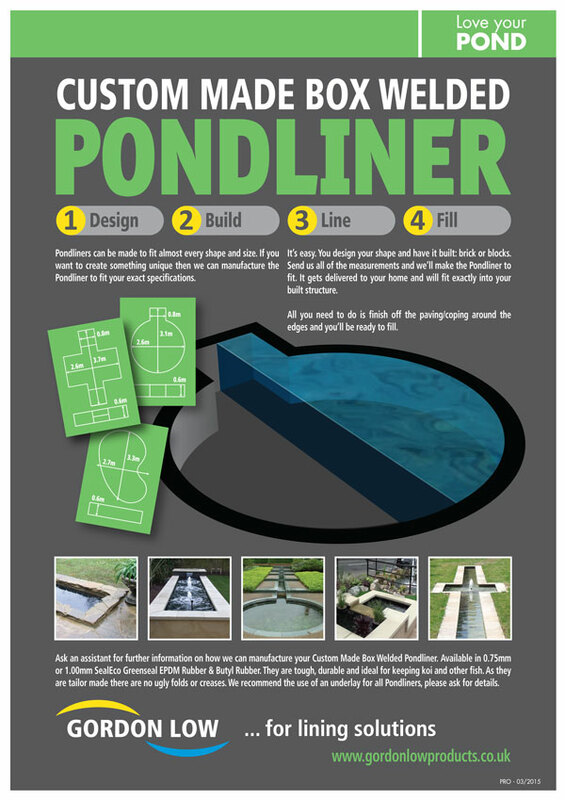 In addition the second version was also created for the in store displays at Maidenhead Aquatics. 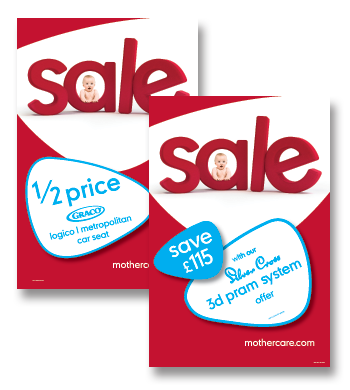 The Point of Sale material was designed to work with the Gordon Low Brochure. 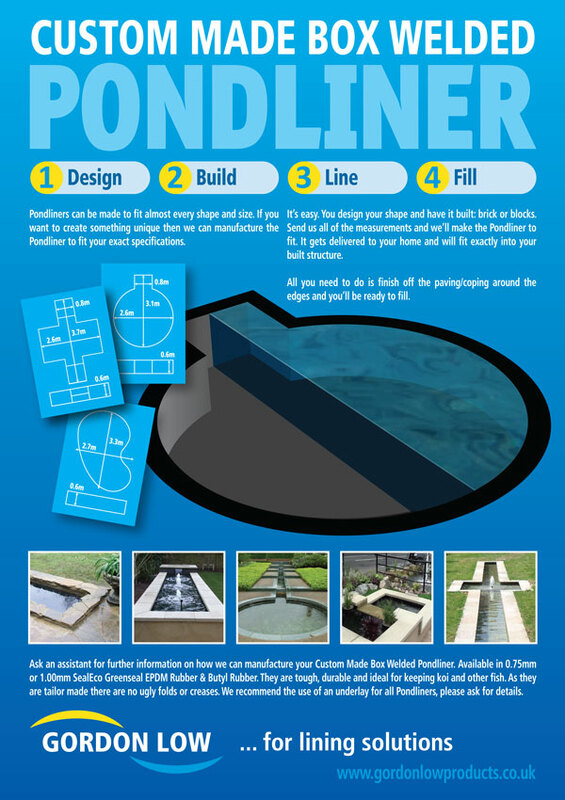 Working in conjunction with good packaging design, product merchandising is key to sales. Strong signs and bright Point of Sale makes the choice of sale easier for the consumer. In all retail environments Visual Merchandising works with point of sale material and is key to the success of all products from Personal Products and Clothing to Car Seats and Pushchairs. Working with the Store Operations Team, Juice Factory produced 12 sets of Visual Merchandising Guidelines for Clothing and a further 8 for Home & Travel every quarter. 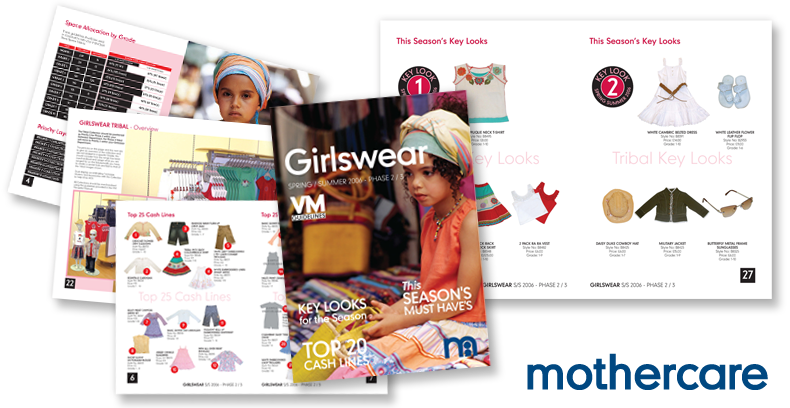 The finished documents are printed and also posted on the Mothercare Intranet for all store merchandisers to view whilst building their displays. The format lends itself to be easily converted to an e-book for viewing on an iPAD or similar tablet. As we all know Internet Shopping is taking over from the High Street with more and more purchases made online. 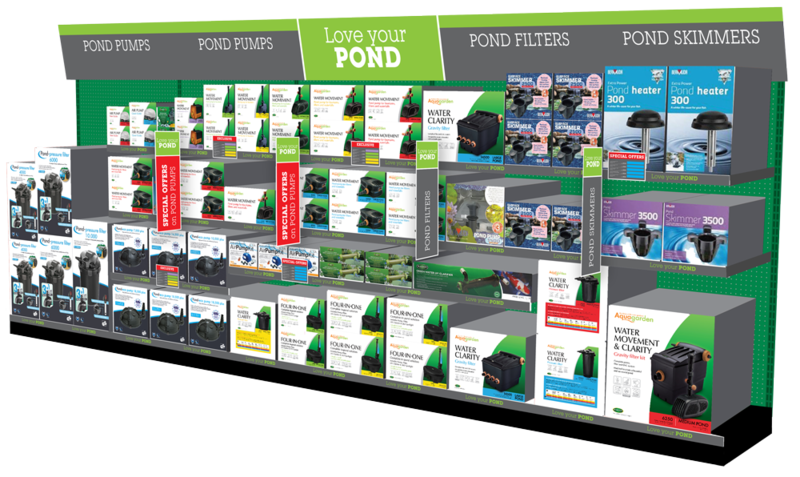 This also gives retailers the opportunity to extend their ranges, and give customers more choice of colours and models. 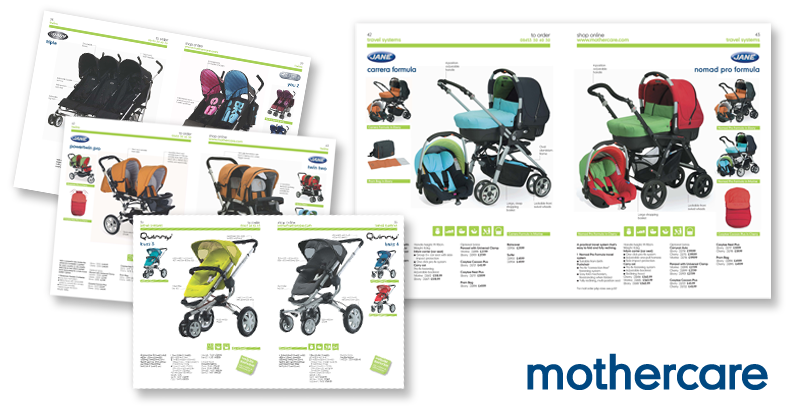 The Mothercare range of Pushchairs and Car Seats extends to well over 500 products. With the introduction of an in-store reference catalogue it was no longer necessary to hold every stock item in store. Sale time is one of the most important times of the year for any retailer. it drives footfall into the stores and is normally based around removing old stock in readiness for new season lines. 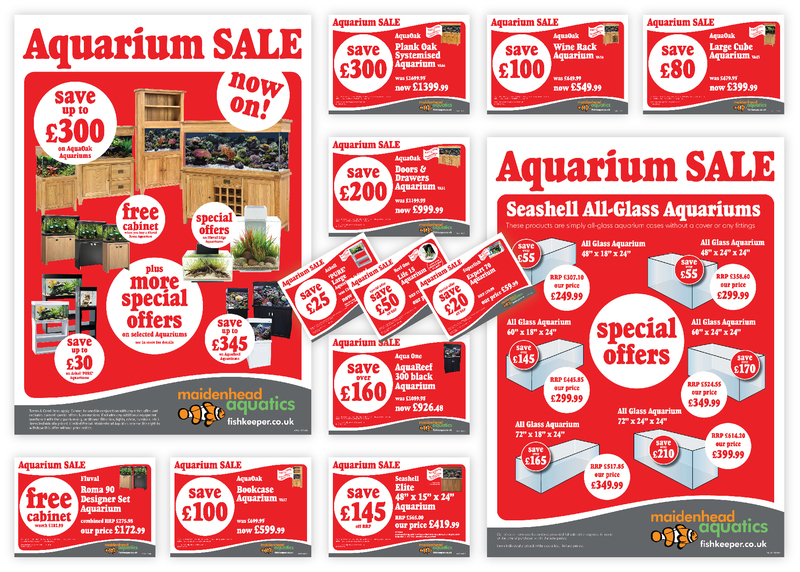 As well as in-store point of sale, window design and window posters are key to getting the sales message across. Point of Sale is the main way to promote key products, introduce special offers and also encourage consumers into the store. The design needs to have “stand-out” so that it can be seen from a distance. In addition it doesn’t blend in with all the other products on-shelf.